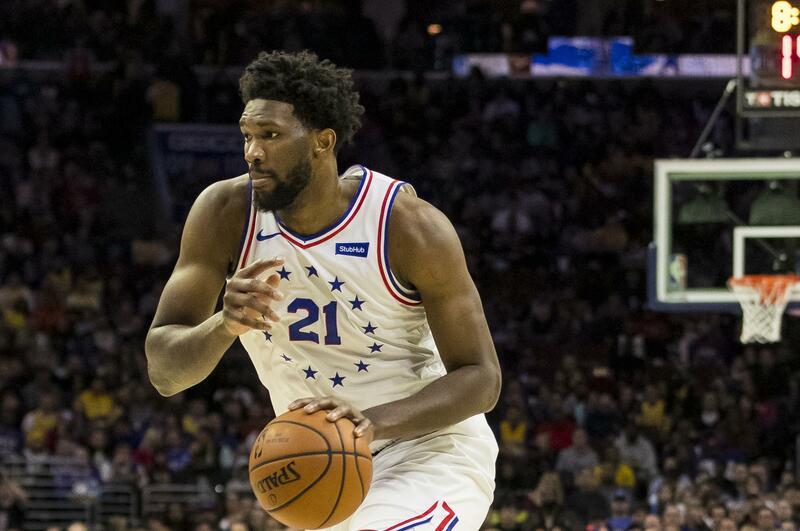 Sun., Feb. 10, 2019, 8:29 p.m.
PHILADELPHIA – Joel Embiid had 37 points and 14 rebounds, Tobias Harris scored 22 points in his second game with Philadelphia and the new-look 76ers beat LeBron James and the Los Angeles Lakers 143-120 on Sunday. JJ Redick added 21 points and Jimmy Butler finished with 15 points in front of a packed crowd that brought a playoff-like feel to the nationally televised game. The 76ers have won two straight after acquiring Harris and four others at Thursday’s trade deadline. Kyle Kuzma led the Lakers with 39 points, and James had 18 points, 10 rebounds and nine assists. OAKLAND, Calif. – Kevin Durant scored 39 points and DeMarcus Cousins made two free throws with 5.4 seconds to play that helped Golden State cap a comeback from a 19-point deficit in the first quarter to beat Miami. DALLAS – Luka Doncic scored 28 points, Tim Hardaway Jr. had 24 and Dallas erased a 15-point deficit in the fourth quarter to beat Portland. SACRAMENTO, Calif. – Marvin Bagley III had a career-high 32 points and six rebounds and Sacramento handed Phoenix its 14th straight loss. Published: Feb. 10, 2019, 8:29 p.m.